This is a super simple vegetarian dish that you can whip up on a week night without too much fuss. 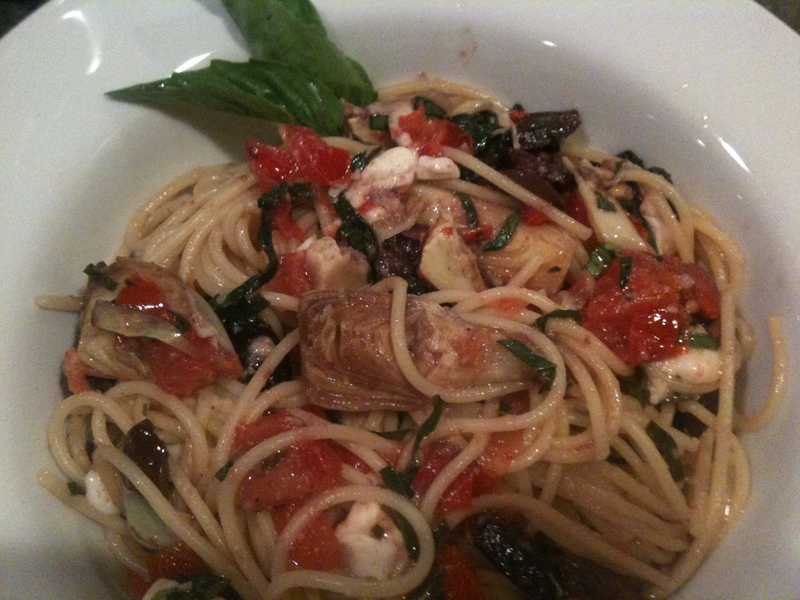 I can’t wait to make this again when the tomatoes from our garden are ripe and ready. For now I picked the best looking tomatoes I could find at Trader Joes and used a can of their artichoke hearts. With fresh basil, a lot of garlic, Kalamata olives, and some good buffalo mozzarella …the Trader Joes tomatoes tasted pretty darn good! My 8 year old, Max, demanded that we leave him some left-overs to have for lunch at school the next day. That kid loves his left-overs! In a large pot of salted boiling water cook the capellini until it is just done…you really want it to be “Al Dente” and NOT over cooked. While the pasta is cooking, heat the olive oil in a large pan and saute the garlic for a few minutes being careful not to let it get brown. 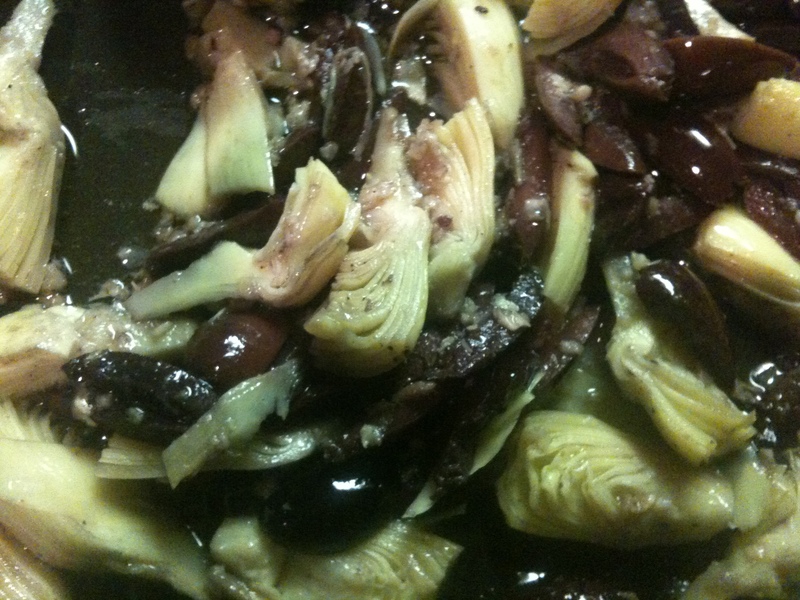 Add the artichoke hearts and olives cook for a couple of minutes to heat them up. Add the balsamic vinegar and cook for a couple more minutes. 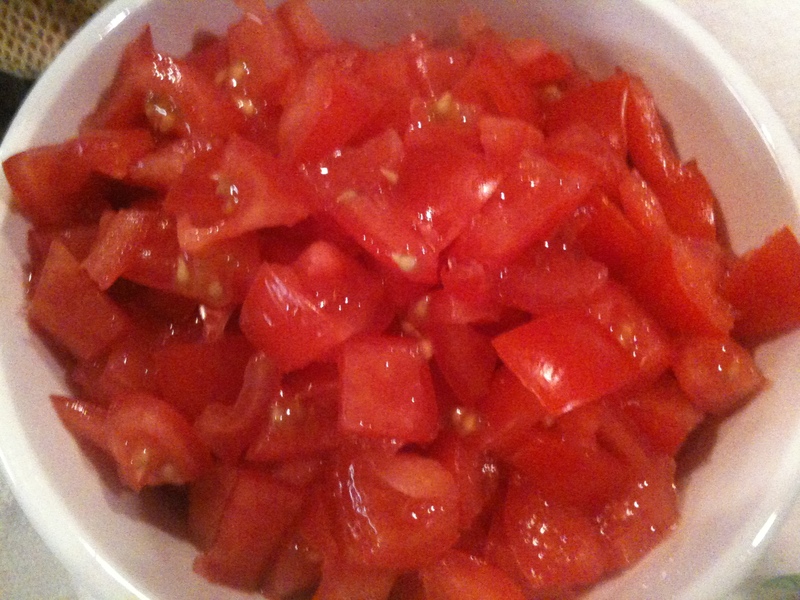 Turn off the heat, add the tomatoes and season with salt and pepper. When the pasta is done, drain well and add to the pan.Toss the pasta with the artichokes, olives, and tomatoes until they are all well combined. 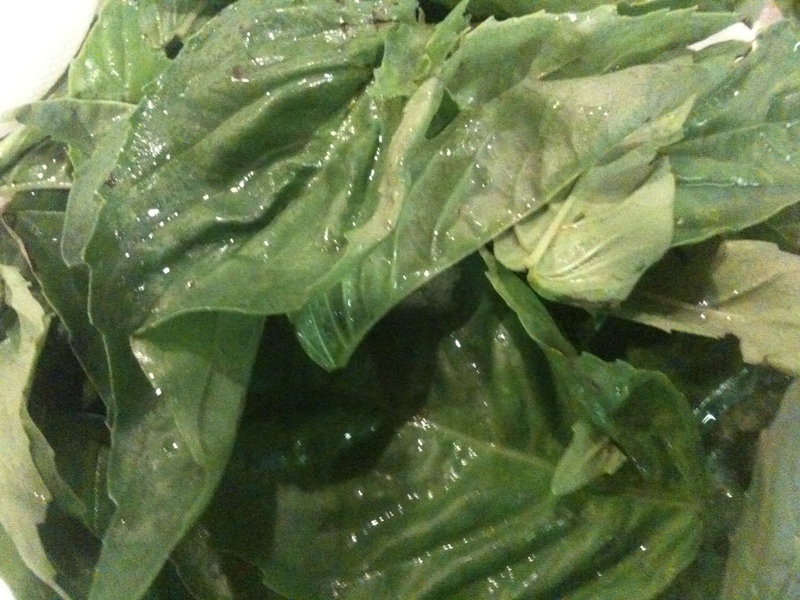 Add the fresh basil and the mozzarella and check for seasoning. Throw a little fresh parmesan on top if you want! I made this last night. 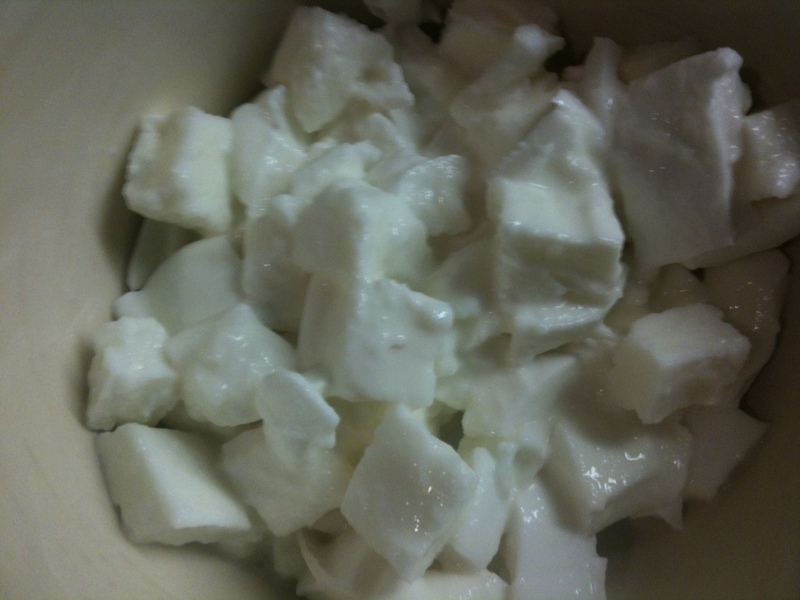 It was quick, easy, and delicious! Thanks Rhonda!